Where will Russell Teibert fit in with the 2019 Whitecaps? 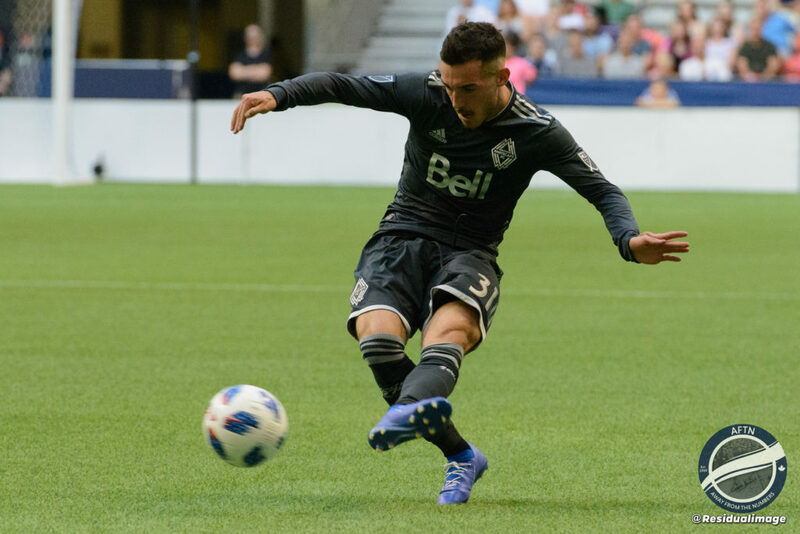 Another year, another squad, another manager: so where will Russell Teibert fit in with this 2019 Whitecaps side? 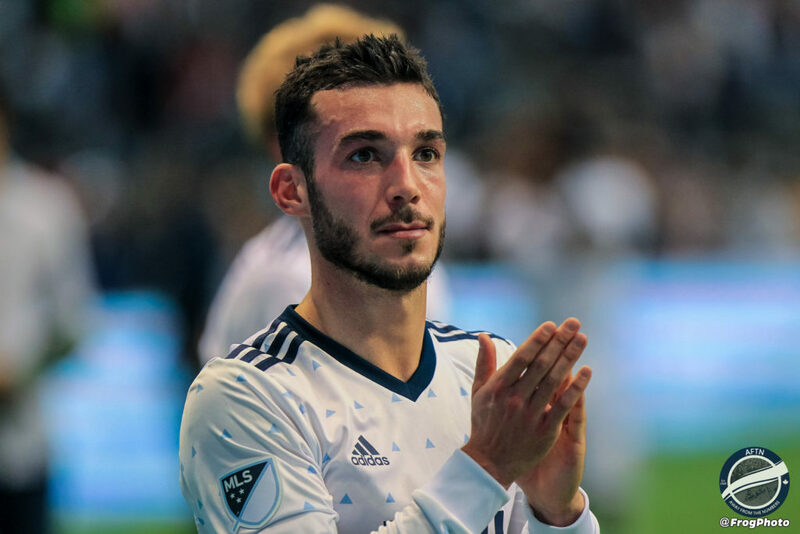 Russell Teibert has been our longest serving Whitecap in the MLS era. 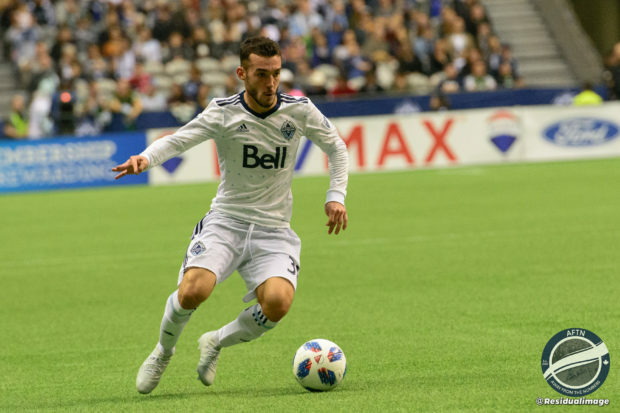 He was a Generation Adidas signing in 2011 and has been adopted as the “home town” hero in Vancouver (despite growing up in Niagara Falls, Ontario). He has seen the pitch in 137 games (with 95 starts) over his MLS career. His role and play gained stature in 2018 as he was generally recognized for making a greater impact and was awarded the Jock MacDonald Unsung Hero award for that season. Despite the issues with our midfield, he contributed significantly. As we saw in the now infamous 2018 year-end public interviews, Russell wore his heart on his sleeve and enhanced the fans’ impression that he is a team guy and he bleeds blue. He is regularly seen at community events and won the Whitecaps’ Humanitarian of the Year for 2017. Clearly, he is a fan favourite and the fans seem to genuinely “want” him to do well. This website has penciled him in, albeit at this early stage, as a first 11 guy. Rusty is well known for his fitness and tenacity on the field. He runs his rear end off and we know he will give us a tremendous effort every time he puts on the jersey. He plays with heart and determination. We also know that he leads by example in training and is a terrific role model for our younger players. At one time, he was touted as our future captain. What’s not to like? Russell is also known for his passing accuracy. In 2018, he led the Caps with an 88.07 percent passing accuracy. This is not to be sneezed at. Finally, Rusty is a long time national team member and is seen as an integral part of Canadian men’s national team, and has been for some time. He remains a regular call up in John Herdman’s era. Now we come to 2019. Marc Dos Santos has set out for us, in surprising detail, what he expects from his players by way of roles and tactics. We are to expect a high pressing team and a team quick to transition to offense from defence. He seems to be methodically finding the individual pieces to bring that vision to fruition. Whether he’ll find the right horses to make the system work is what we’re all waiting to see, and for the purposes of this article, whether Rusty can find a regular spot in the system remains to be seen. Despite what I’ve said above, I have my doubts that Russell Teibert can cut it in the Dos Santos vision. I may be out to lunch, but the proof will be in the pudding. I see Russell Teibert as a role player. His tenacious defence and ability to break up plays are well respected. Role players have indeed been valued by our previous managers (think Laba, Davidson, Ghazal, Thorrington, Waston, Shea, Brovsky, Watson, Klazura, Mezquida, etc.). However, listen carefully to what Marc Dos Santos has said about what he is looking for in his players and what he is expecting from his players. Look too at the players he has let go from the 2018 squad and the new replacement signings. To me, it appears that Dos Santos is looking for versatility and two way players. Our manager is praising both the offensive and the defensive habits in each new recruit. He has let the likes of Cristian Techera (an offensive role player) and Aly Ghazal (a defensive role player) go. Obviously, he has kept Russell Teibert to date, but the Canadian is not an offensive or a creative threat. Can he be part of the quick transition from defence to offense that the new manager wants? Teibert is, as noted above, an accurate passer. However, his passing is typically east, west, or south. It often seems that he is anxious to unload the ball as quickly as possible and to the safe, easy teammate. He rarely releases someone and simply is not known for creativity. His passing lacks purpose. This is, I think, his Achilles Heel. In the offensive zone, Russell often looks uncertain and is loathe to shoot. In his MLS career, he has 63 shots, 14 assists, and 3 goals in 8745 minutes of play. He seems to have forgotten the shooting lessons we learned as youngsters. Don’t panic, keep your knee over the ball (so you don’t fire it 15 feet over the goal) and aim for the keeper (as you’re likely to miss, but your shot will likely still be on goal). Of his 63 MLS shots, only 11 have been on goal in eight seasons of play. We all remember Russell’s two goals against the Galaxy on a nice night at BC Place in 2013 and we may remember the nine assists that year, but those are aberrations. Aside from 2013, he has five assists and one goal over his career. Of course, goals and assists are not the end of the analysis, but they are relevant. They are especially relevant for a non-creative player in the Marc Dos Santos world (a world where two way versatile players are highly valued). I’ll be watching to see if I’m wrong. However, I suspect that once the balance of new horses arrive, Rusty will see his role and his minutes decline in 2019, notwithstanding his 2018 resurgence. What do you think? Not sure Russell is an MLS quality player but his leadership skills and desire to represent the Whitecaps in a quality way are very admirable. Would like to see him in a management or coaching capacity for VWFC when his playing days are over. He brings a lot to the table. Have to disagree with the assertion Rusty isn’t an offensive player. He is constantly overlooked as an offensive threat because previous Caps managers keep forcing him into a heavily defensive role. When he is in the attacking third he has great vision and is often in dangerous positions. I wish he and Brett Levis were given more offensive roles. It’s Felipe who has to worry. Teibert was consistently outplaying him last year on both the attacking side as well as the defensive side of midfield. Teibert has a better engine, he wins balls more consistently than Felipe, and when he decides to push forward his passing is precise and dangerous. What can we get for Felipe in a trade is a better question.